Last year I received an advent calender from the Burpee company. Behind each door was a small packet of seeds, each a different vegetable or flower cultivar newly coming onto the market. One was this darling little eggplant, aptly named 'Patio Baby'. 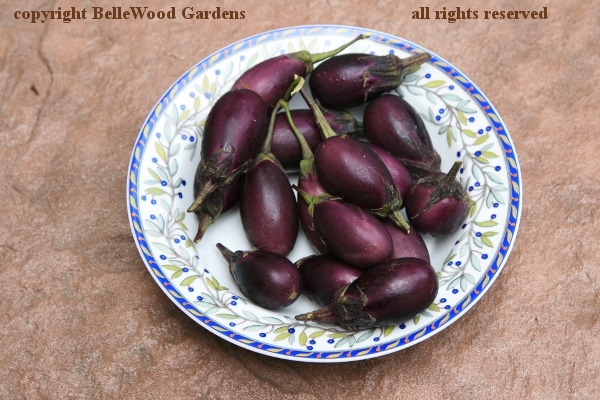 It's described as a prodigiously prolific dwarf eggplant offering up a summerlong harvest with each plant producing 25 to 50 luscious little eggplants. Sixteen of these little charmers weigh just over 12 ounces. Cover image Six Seasons by Joshua McFadden ( courtesy Artisan Books). I decided to make their quick and easy refrigerator pickled eggplant, with a variation or two. 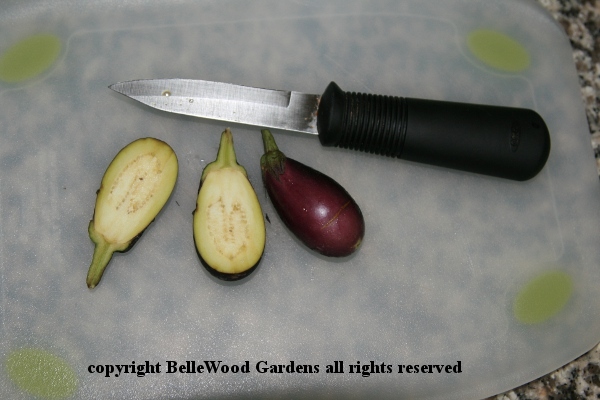 The Six Seasons recipe uses one pound of firm, preferably Asian eggplants, peeled and then cut into long halves or quarters or thick coins or chunks. These little babies, I decided, would simply be cut in half. Toss the cut eggplant with 2 teaspoons of kosher salt and tumble into a colander. Let sit for at least 2 hours and up to 8 if possible. Refrigerate if more than 2 hours. into the colander.) Press for a couple of hours. Again blot dry, and place into a bowl. 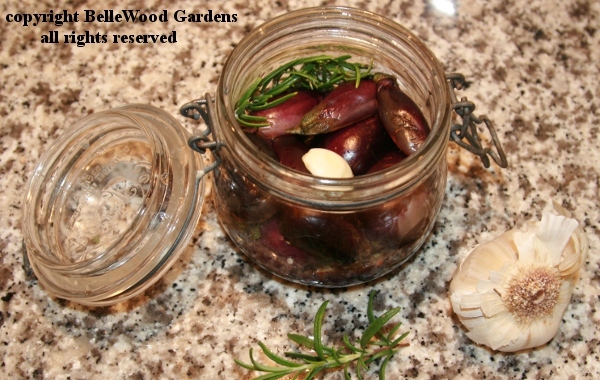 into canning jars, layering in peeled garlic cloves and rosemary sprigs. The pickled eggplant will keep for a month, refrigerated. 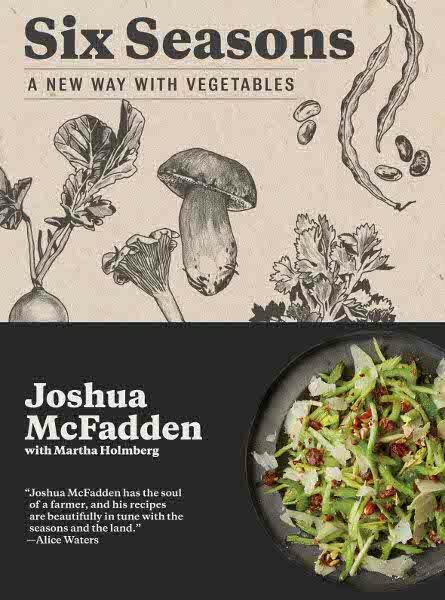 Recipe from Six Seasons by Joshua McFadden (Artisan Books). Copyright © 2017.